Finola is an experienced writer, editor and journalist with a passion for food, wellbeing and travel. She’s lived in Brighton on and off since 1999, breaking up her time here with stints travelling and living abroad in Asia, Australia, New Zealand and South America. 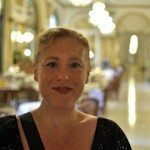 Finola’s love of travel and her interest in other cultures has given her a wide-ranging knowledge of food, which she draws upon when writing her reviews of mouth-watering meals at Brighton and Hove’s top gastronomic destinations. Brighton’s restaurant scene has really grown in recent years so it’s difficult to choose just one favourite restaurant. For day-to-day eating I love the colourful veggie food at Iydea café (and the friendly staff) and Billie’s café for brilliant breakfasts. Asian food has always excited me, and I love the authentic and delicious Pad Thai at Unithai, as well as the delicate Japanese flavours at Oki Nami and Moshimo. I also love Duncan Ray’s cooking and ethos at the Little Fish Restaurant. Everyone’s talking about 64 Degrees at the moment and I have to add my voice to the hubbub. Head Chef and owner Michael Bremner really deserves the acclaim he’s getting and the restaurant’s concept of greater interaction between diners and the kitchen – and the stunning food – is a real asset to Brighton. I don’t have one dish or cuisine I consider number one – there’s far too much amazing food all over the world and my mood influences what I want to eat! Asian food is incredible in its diversity and I always feel invigorated by the mix of sweet, sour, salty and spicy flavours in Thai or Vietnamese cuisine. Indian food is also phenomenal, especially dishes from southern India where coconut is used a lot more and there’s such a wide array of incredible vegetarian and vegan dishes. We’re lucky here in Brighton to have restaurants serving great Indian food, such as Curry Leaf Café, Planet India, The Chilli Pickle and Indian Summer. At the other end of the spectrum I enjoy food that’s prepared simply using good quality ingredients, such as a caprese salad made from buffalo mozzarella, basil and sweet vine tomatoes. I don’t eat a lot of wheat so use other grains, such as buckwheat or quinoa at home, which is a fantastic base for salads. I’ve written about food and restaurants throughout my journalism career and have always enjoyed doing so. In recent years I’ve become more interested in the links between food, mood and well being, as well as issues around sustainability and food ethics. I know a lot of people are so busy they regard food as just fuel and eat on the go, not really thinking about what’s actually in what they’re eating or how it’s been processed. I’ve done the same, of course, but have come to realise that’s a missed opportunity. Food can heal or harm and there’s a lot of misinformation about what’s nutritious for the body, mind and emotions. I was a 70s child and grew up thinking the food pyramid was healthy, with carbohydrates like bread and pasta taking up the biggest portion of one’s plate. I now know that’s a misnomer and that pyramid was created after the industrial revolution to sell cheap grains, rather than what’s better for our health and bodies. So, I now limit dairy, wheat and sugar and eat more plant-based foods with good quality protein. I’ve had a lifelong problem with hay fever and allergies but that diminished a few years ago when I gave up wheat. 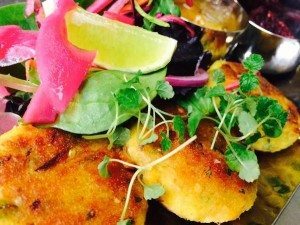 What do you think of the Brighton and Hove dining scene at the moment? I love Brighton and Hove’s café, restaurant and bar scene – it’s become really innovative in recent years and there’s far more variety and quality available than a decade ago. One of the things I like most is the individuality and quirkiness. 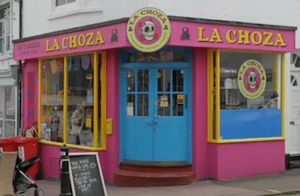 Of course we have the chain restaurants like anywhere else, but independent places such as La Choza for Mexican street food or Marwoods café for its decent coffee, cake and funky décor all reflect Brighton’s own character.